California has the fourth largest boating population in the United States, with over 772,000 registered recreational vessels. While responsible owners dispose of vessels lawfully, other owners abandon them on state waterways where they impede navigation, interfere with boating traffic, and as they deteriorate, leach toxic chemicals and fuel into state waterways. 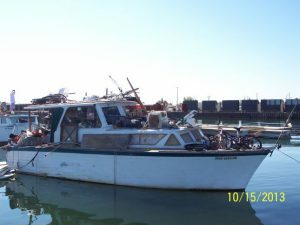 The Commission’s Abandoned Vessel Program began in 2012 following the enactment of SB 595 (Wolk, Chapter 595, Statutes of 2011). Chapter 595 establishes an administrative removal and disposal process for abandoned and trespassing vessels on waterways under the Commission’s jurisdiction. The law allows the Commission to immediately remove a vessel from areas under its jurisdiction without prior notice if the vessel seriously hinders navigation, is a threat to vessel operators, a hazard to the natural environment, or creates a public nuisance. The authority created by Chapter 595 is exclusive to the Commission and abandoned and derelict vessel removal is frequently accomplished by local governments, because of this, further legislation was proposed to simplify and expedite their efforts. AB 1323 authored by Assemblymember Frazier (Chapter 645, Statutes of 2015) was codified as Cal. Harbors and Navigation Code Sections 550, 551 and 552. It classifies vessels that are unseaworthy or incapable of use as a means of transportation by water as derelict, if certain conditions apply, and authorizes state and local government entities to remove them as marine debris. It also requires the Commission, after consultation with interested state and local agencies, to adopt best management practices for removing marine debris. The best management practices are advisory and are to provide guidance to state and local entities that are removing marine debris. 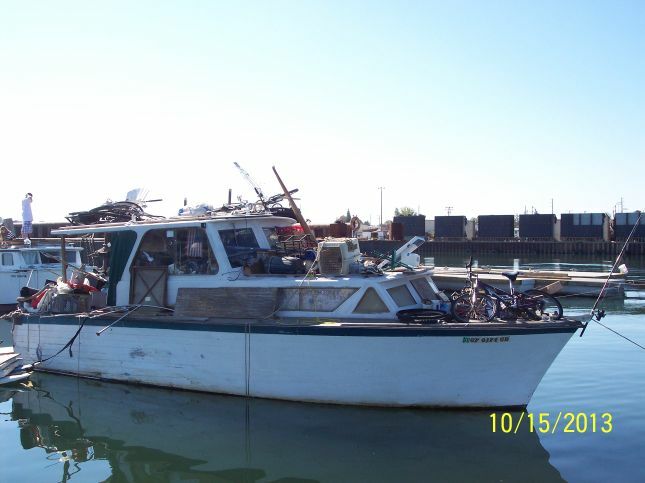 AB 2441 (Frazier) seeks to address the problem of abandoned and derelict commercial vessels in the Sacramento-San Joaquin Delta. AB 2441 directs the State Lands Commission to develop a plan to remove abandoned commercial vessels in the Delta. The plan must prioritize vessel removal based on risk to the environment and to public health and safety. Officers with the Oakland police department first noted what a cleanup could accomplish when First Lady Michelle Obama visited the Estuary to christen a ship. On patrol of the Estuary, the large number of abandoned and derelict boats that littered the waters and shores were observed on a daily basis. The police department contacted the California Department of Resources, Recycling, and Recovery (CalRecycle) and requested the Commission exercise its authority under Public Resources Code Section 6302.1 to remove the vessels. With funding from CalRecycle and a matching grant from the Trust created from the penalties of the Cosco Busan oil spill, the effort started. An initial survey in 2012 recorded the location of each boat, which was logged and photographed. Once funding was confirmed in 2013, a task force of Oakland and Alameda police, accompanied by other police agencies, the Coast Guard and the California Department of Fish and Wildlife, posted a 30-day notice of trespass on each boat. Boats remaining after the 30-day notice expired were towed and impounded. The few seaworthy vessels were eligible for release, but the majority were un-seaworthy and demolished. Altogether, trespass notices were posted on 38 boats, 18 boats left voluntarily, five moved within the Estuary and were later located and demolished, two left the Estuary but were later found derelict in other areas and recovered and demolished. A total of 58 abandoned or derelict boats were removed and demolished along with pilings, docks and other shore debris. The Commission’s best management practices are advisory and provide guidance to local entities responsible for marine debris removal. The Commission adopted these best management practices in October 2016, following enactment of AB 1323 (Frazier), which required the Commission to adopt best management practices for marine debris removal after consulting with interested state and local entities. In December 2018, the Commission and the U.S. Coast Guard removed the derelict 55-foot, steel-hulled, landing craft–style Gretchen E. at Crockett Marina in Contra Costa County. The removal was precipitated by the U.S. Coast Guard responding to reported oil sheens and discovering oil bubbles coming from the Gretchen E. Commission staff worked with the U.S. Coast Guard to remove and demolish the Gretchen E. The initial plan, lifting the vessel out of the water by crane barge, was abandoned because the Crockett Marina is too narrow for a barge to enter. The second plan was to refloat the boat, use a small boat to tow it out of the marina, and then use two tugs—one on either side—to tow it across the Strait to Mare Island. This approach worked. The Gretchen E. was towed to Mare Island and lifted out of the water. The hazardous material was removed, and the Gretchen E. was sent to a scrapper for demolition. This pontoon boat was free floating down the Sacramento River near the town of Courtland. Commission staff procured the services of a Sacramento auto wrecking company and managed to pull the boat up the river bank and onto highway 160. After it emerged from the river it was discovered that its pontoons were flooded, which added about ten thousand pounds to the effort. Once they were drained, it was hauled off to the wrecking company’s yard. The old Spirit of Sacramento was built in 1942 by the Berkeley Steel Construction Co. as a snag boat for the Army Corp. of Engineers and named the Putah. It was last documented by the Coast Guard in 2000 as the Grand Romance at 82 ft. in length; 32.5 ft. in breath; drawing 3.9 ft. at a gross tonnage of 97 tons. Previously named the Chici San it was used in the 1954 movie “Blood Alley” starring John Wayne. 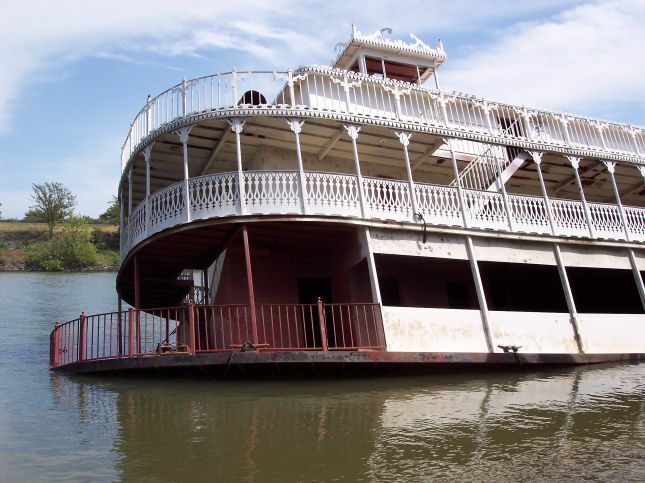 It was acquired by Star Excursions Inc. in 1991 for a show boat in Old Sacramento. In 1996 it burned to the waterline and was sold and rebuilt then moved it the location in the photographs on the Sacramento River. There it periodically was swamped and sunk until it was raised and removed by court order as the result of a lawsuit by the Commission. With her sister ship the Coronado, the San Diego built by the Moore Drydock Company in 1931 in Oakland, at 191 ft. in length and 43 ft. wide, provided car and passenger transportation between the City of San Diego and Coronado Island before the bridge was built in 1969. Then purchased by the Olympic Navigation Company she served the route between Port Townsend and Whidbey Island in Washington. The San Diego moved to Vancouver, British Columbia, when its owners ceased operation in 1974 and remained for 20 years as the Klondike Queen, waiting to be rebuilt as a paddlewheel excursion boat. Brought back to California in 1994, she became the failed venture of the City of Antioch to turn her into a floating restaurant called Huckleberries. Sold to a Sacramento Corporation which operated riverboats, she partially burned and was eventually traded to an individual for Delta land. Then the San Diego was moored in the Sacramento River at the lower tip of Decker Island. A phone inquiry from the Solano County Sheriff’s marine patrol questioned her right to be moored at that location, side tied to the Faithful, a 293 ft. former cruiser/hospital ship. A threat of legal action resulted in the removal of the Faithful, but a lawsuit and years of negotiation was required to finally remove and demolish the San Diego. Various parts of her structure have been retained and are on display at the San Diego Maritime Museum.